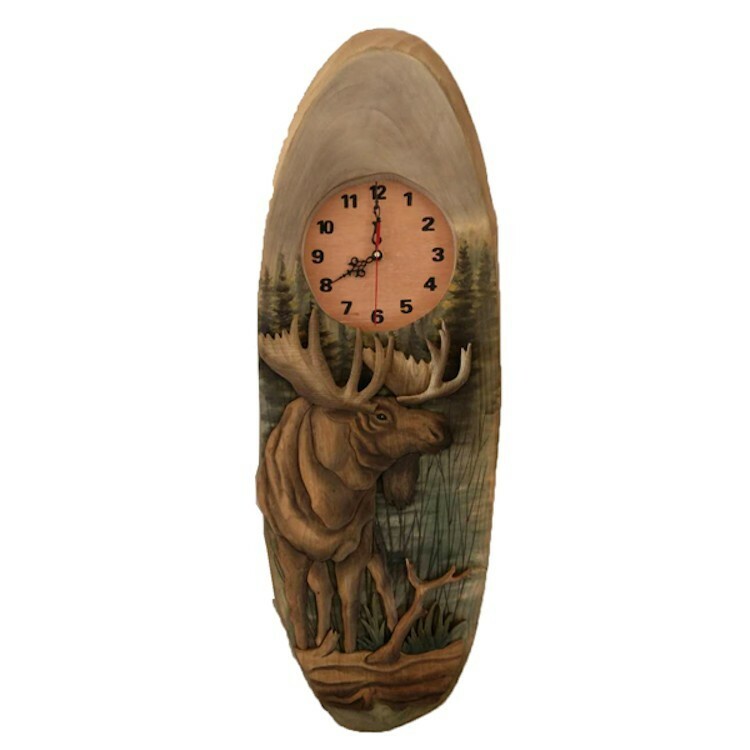 A large bull moose is found standing at the edge of a lake deep in the woods on this Carved Moose Clock. Made of pine with hand carved moose. What a great addition to your any room in your home.